I was away from my computer when this auction closed so I missed the bid on this bag by $1 – I am so disappointed. I’ve been looking for one of these doctor bags for a long time. Are they hard to find? 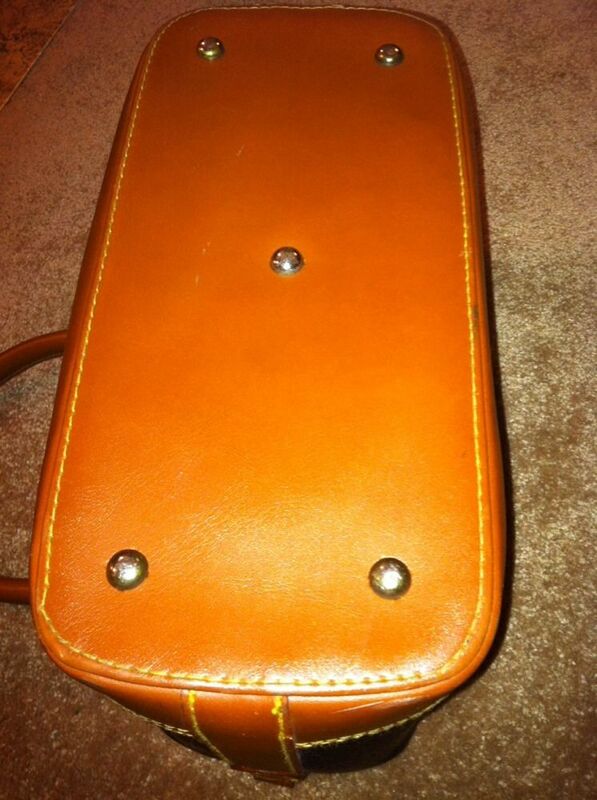 Thank you for sending the photos of the counterfeit Dooney & Bourke Doctor bag. Lucky you. But sad for the many people who bid on the bag thinking it was authentic and most especially the person who won the auction and received the bag. The photos you sent are of a blatant FAKE bag – see my notes with the photos. Then see comments at the end. FAKE Note the handles are riveted on permanently. 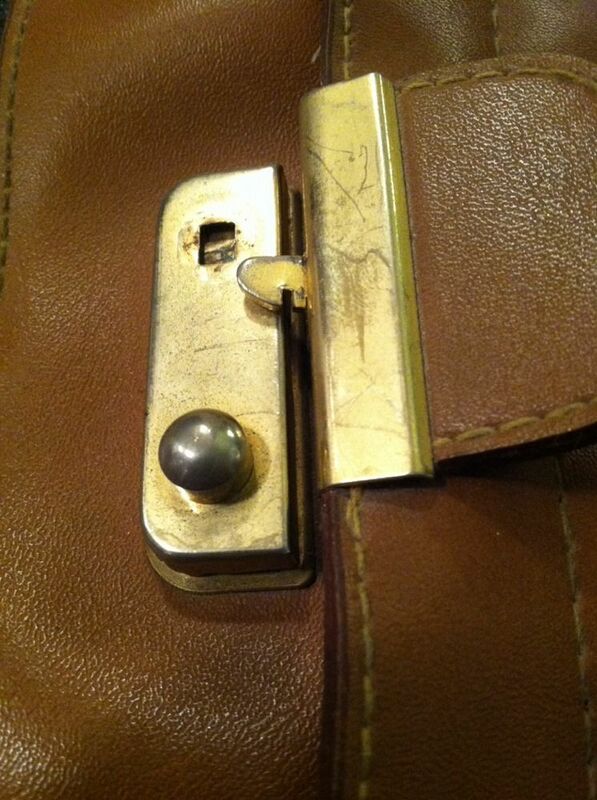 Also note the fabric showing on the supposed all leather handles. FAKE The base which is supposed to be British Tam leather is too wide and made of vinyl. FAKE – Again vinyl here and the supposed brass feet on the bottom are round buttons instead of the authentic Dooney brass feet. 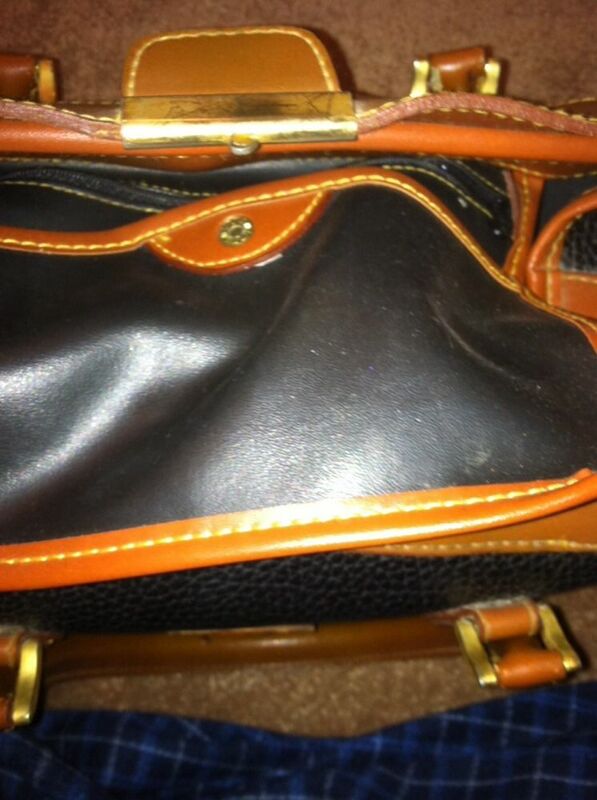 FAKE – This black vinyl interior is never seen in an authentic Dooney bag. FAKE – Duck is obviously glued on and not sewn on. Duck patch is a counterfeit. 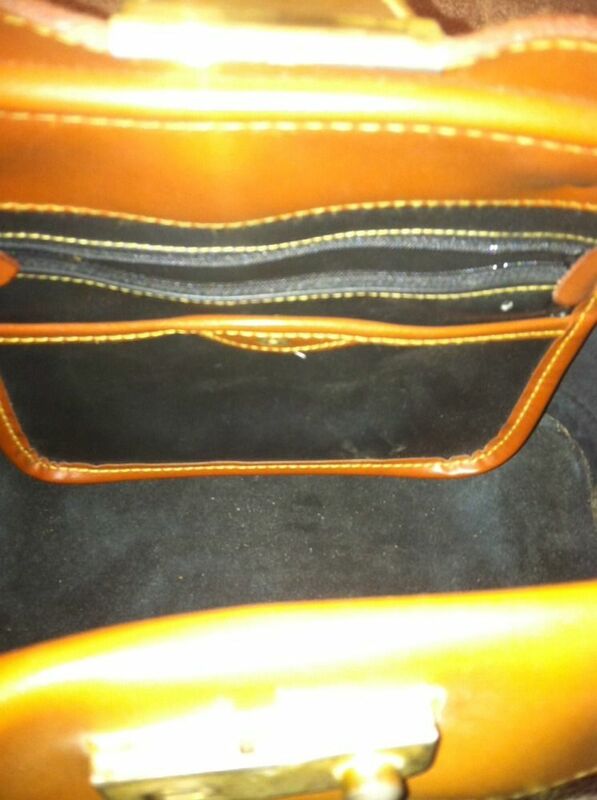 FAKE – This shows black vinyl interior pockets rather than the British Tan pockets in an authentic bag. FAKE – Overall view of fake bag with counterfeit features. To view an authentic bag so you can compare the features, click on this photo of an authentic Doctor bag on our website . 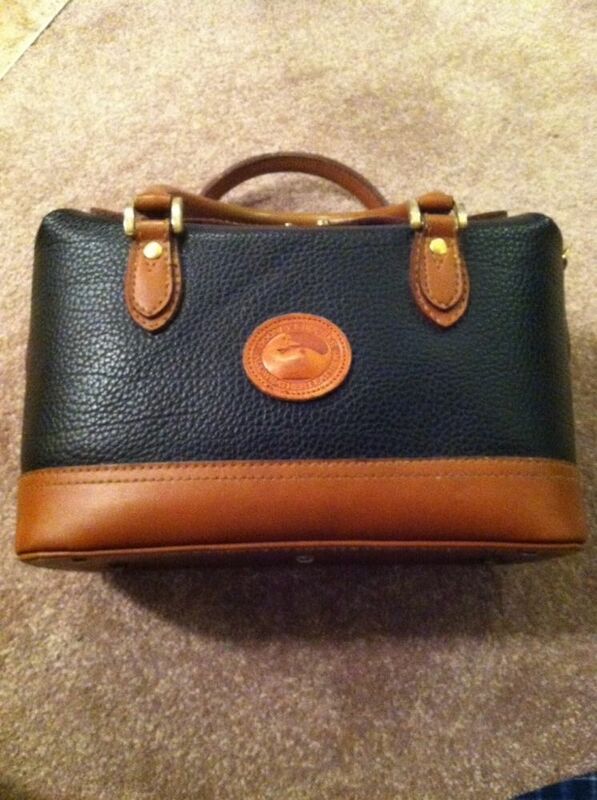 You can always buy authentic Dooney & Bourke bags on our website. Want to sell your AWL bags? 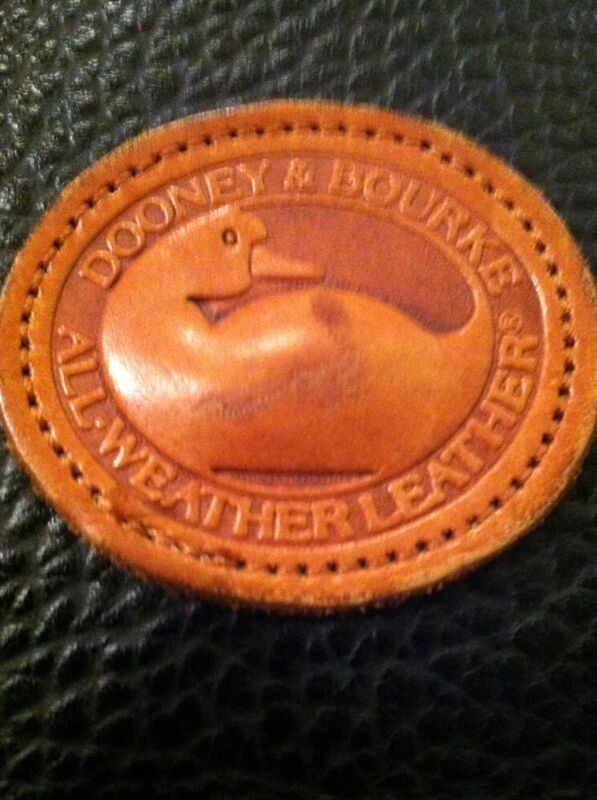 Do you have All Weather Leather Dooney & Bourke handbags you want to sell? How Much is My Dooney & Bourke bag worth? 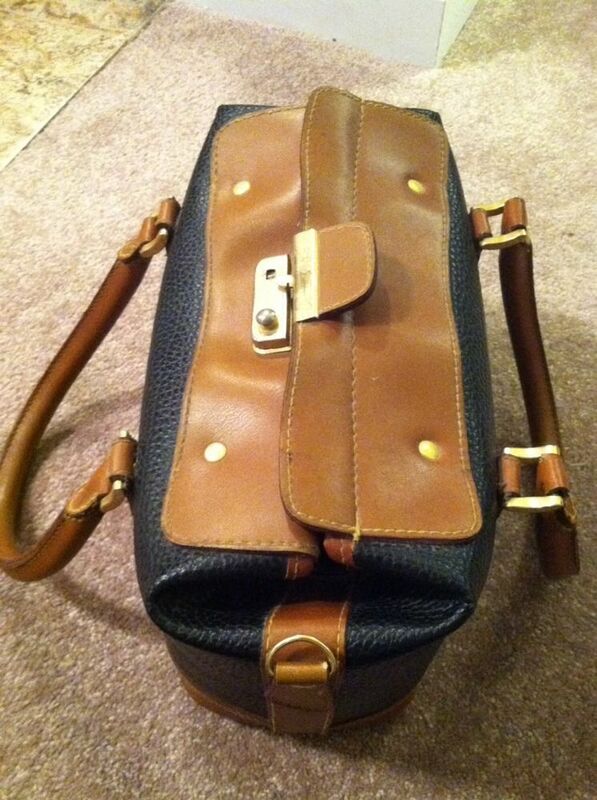 Can you help me date this Dooney & Bourke bag? 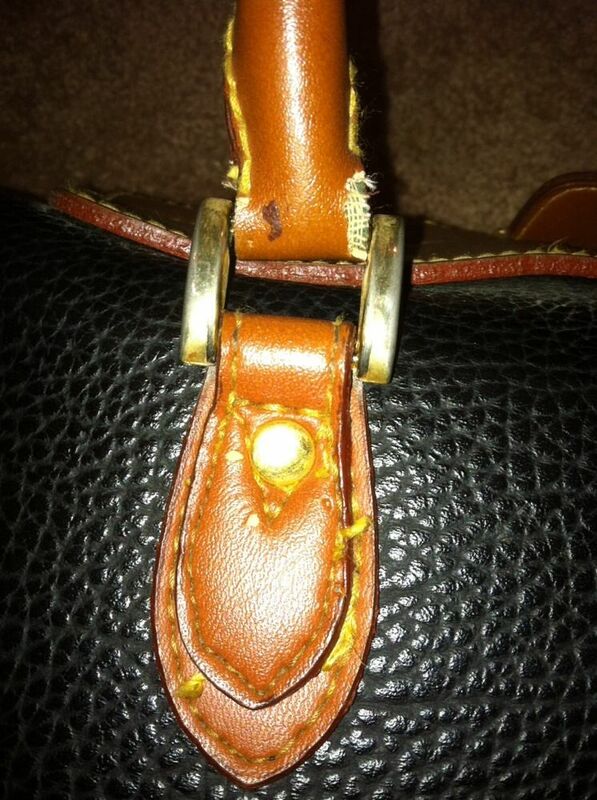 Is this tote an authentic Dooney & Bourke handbag? Would the 1980s Dooney & Bourke bags be worth more than later bags?